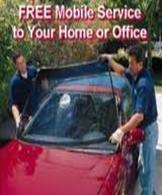 MOBILE AUTO GLASS SHOP, WE COME TO YOU. 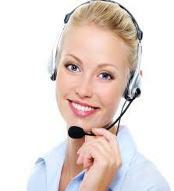 AND WE WILL COME TO YOUR HOME OR OFFICE TO COMPLETE SERVICE ON YOUR AUTO. WERE PROUD TO OFFER YOU FAST, AFFORDABLE, QUALITY REPAIR AND REPLACEMENT GLASS SERVICES FOR YOUR VEHICLE ANYWHERE IN THE HOUSTON AND HOUSTON METRO AREA THAT WE SERVE. 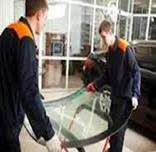 XPRESS WINDSHIELD REPAIR AND REPLACEMENT CONSISTENTLY PROVIDES HIGH QUALITY RELIABLE AUTO GLASS SERVICE. 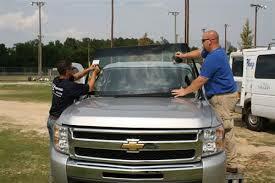 ALL OF XPRESS WINDSHIELDS TECHNICIANS ARE TRAINED AND MULTI-CERTIFIED IN STATE-OF-THE-ART TECHNIQUES. WE USE THE BEST EQUIPMENT, MATERIALS AND PROCEDURES TO ENSURE EACH JOB IS DONE TO MANUFACTURERS SPECIFICATION, EVERY TIME. WE ONLY USE THE BEST URETHANES TO ENSURE EACH JOB IS INSTALLED PROPERLY TO MEET OR EXCEED THE VEHICLES QUALITY & SAFETY STANDARDS WHILE ALLOWING FOR THE FASTEST DRIVE AWAY TIME POSSIBLE. The break from 85% to 95% to its original appearance. WHY REPAIR YOUR WINDSHIELD ? And save you several hundred dollars, compared to replacing the windshield. WHAT BREAKS CAN BE REPAIRED ? The repairs we fix are known as rock chips, stone chips. A stone chip or rock chip can be repaired up to the size of a 25 cent piece. WHAT DOES WINDSHIELD REPAIR COST ? Part of your insurance, If your insurance covers this process your deductible will be waved and the insurance company will pay me in about 10 to 13 days, there will be no out of pocket money from you and your repair will be FREE to you even if you have a $1000 deductible . This will save you hundreds compared to replacing your windshield, current windshields now can come with expensive sensors an antennas attached to the windshield, a windshield today can run from $300 to $400 installed. PLEASE GIVE ME A CALL AND CHECK IF YOUR INSURANCE OFFERS THIS COVERAGE WE HAVE LIST OF INSURANCE COMPANIES THAT OFFER THIS SERVICE. THANK YOU AND I HOPE TO HERE FROM YOU SOON.